The branch is a separate office of the company, based in a different jurisdiction where the foreign corporation expands its business activities. It can carry out any of the activities the foreign company is allowed to perform, however, it cannot expand beyond these. In essence, the Danish branch is an extension of the parent company that has a set of advantages and is a preferred means of business expansion, especially for banks and other financial institutions. Opening a branch in Denmark is an easy process if a few requirements are met such as the legal form of the parent company (it has to be a limited company, a partnership or a form of business accepted by the Consolidated Act on Certain Commercial Undertakings) and the location of the foreign company (must be in the EU, EEA and if it’s a non member country, it has to bring evidence that Denmark’s companies are free to open branches there). At least one manager must be a resident in Denmark or in an EU or EEA country. In general, companies that are allowed to set up branches in Denmark can be included in one of the following categories: they are foreign public limited companies, limited partnership companies, private limited companies or other companies that have a similar corporate form and are based in an EU/EEA country, the United States of America, Switzerland, Georgia or South Korea. The Danish Business Authority may grant a permit for other companies to do business in the country under the form of a branch. Alternatively, the same permission may be granted by the Business Authority if it is believed that a Danish limited company enjoys the same rights in that specific country. Before starting any activities, the branch must open a bank account where the initial capital is submitted and register at the “Danish Commerce and Companies Agency”. The branch will have a name that will include its status (filial or branch office). • Confirmation from the local company register: a document confirming the fact that the foreign company is duly registered with the local company’s register is needed for incorporating a branch. • Reciprocity statement: this is only required when the parent company is based in certain jurisdictions; it is a declaration from the foreign company stating that it may open branches. All the above information must be in Danish or accompanied by a Danish translation and our team of agents who specialize in company formation in Denmark can help you with detailed information about the submission of these documents. After receiving a unique registration number, the Danish branch must also register for social security purposes. Even though is not considered a legal entity, a branch is advantageous especially because it doesn’t have to prepare audited financial statements. However, a certified copy of the audited financial statements of the parent company must be deposit at the Danish Commerce and Companies Agency. 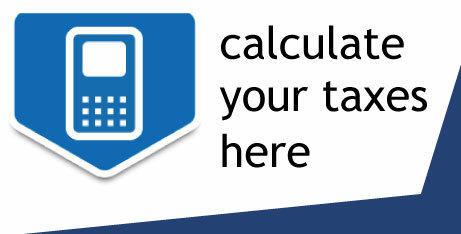 Also, the bookkeeping is necessary as the branch must pay VAT like any ordinary local company. The Danish branch is subject to taxation in the country at the applicable rate of 22%. It is treated as a permanent establishment in Denmark for taxation purposes. Our team of agents who specialize in company formation in Denmark can give investors more details about how the provisions of double tax treaties apply in case if branches (when such a treaty exists between Denmark and the country in which the foreign parent company is based). One of the most important issues to take into consideration for foreign companies that expand their business to Denmark using a branch office is the liability level: the parent company abroad is fully liable for the debts and obligations of its Danish branch. Some of the special considerations when opening a branch have to do particularly with the aforementioned liability. Because of this, foreign legal entities that wish to establish their presence on the Danish market can choose to open a limited company instead of a branch. The Danish company formation process is not a complicated one and the opening of a company does not take longer than opening a branch. In fact, in some cases, the entire process may be easier when choosing to open a new company compared to setting up a branch because the new company will not depend on the parent company abroad (and the required documents and statements for branch formation). The company will be completely independent of the foreign entity and will be registered just like any other local company in the country. 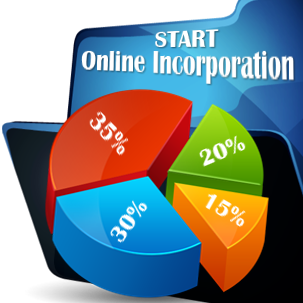 Moreover, it will be able to function under a different name and it is limited to the activities of the parent company. Investors who open a Danish company have the option to use it as their headquarters for the Nordic region and this can bring certain advantages, mainly those already specified, the fact that the foreign entity will not be liable for the Danish company’s actions. An alternative to the Danish branch is the representative office, which can be used for purely promotional purposes. This means that the representative office will not be used to derive income from Denmark and thus it will not be subject to the Danish corporate income tax. It does not need to be registered with the Business Authority, however, given the fact that the scope of its activities is limited, companies that are ready to expand and engage in business activities in Denmark do not commonly use it. It can, however, be used by companies that are only testing the Danish market or are in need of engaging in marketing or promotional activities. One of the main advantages of both the branch and the representative office is that they do not require a minimum capital. On the other hand, the liability of the foreign company is unlimited. By contrast, a Danish private limited company, the ApS, does require a minimum share capital of 50,000 DKK but the liability of the members is limited to the extent of their capital investments. A branch in Denmark can function via a virtual office. With this service, the branch will have access to professional business facilities, such as office space, a local telephone number, mail forwarding services and, of course, a registered address at a professional location in Copenhagen or another Danish city. The virtual office can be a preferred means of running a business in the country because of the reduced maintenance costs (fees are applicable for the services but they differ from renting or purchasing office space in Denmark as well as equipping and managing the new business premises). 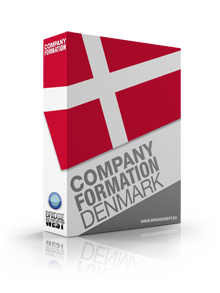 Our company formation packages in Denmark are also available for foreign companies that are interested in setting up a branch in Denmark. One of our agents can give you more details on the process of establishing a branch as well as guide you throughout the registration process. The steps needed for branch formation are not complicated, however, some of the documents need to be prepared beforehand as well as a number of translations into Danish of the official company documents for the parent company abroad. 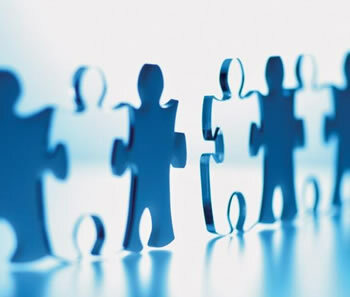 Please feel free to contact our specialists in company formation for more details regarding Danish branches.